A major holiday means a roast; a roast leaves a bone, and a bone means broth. 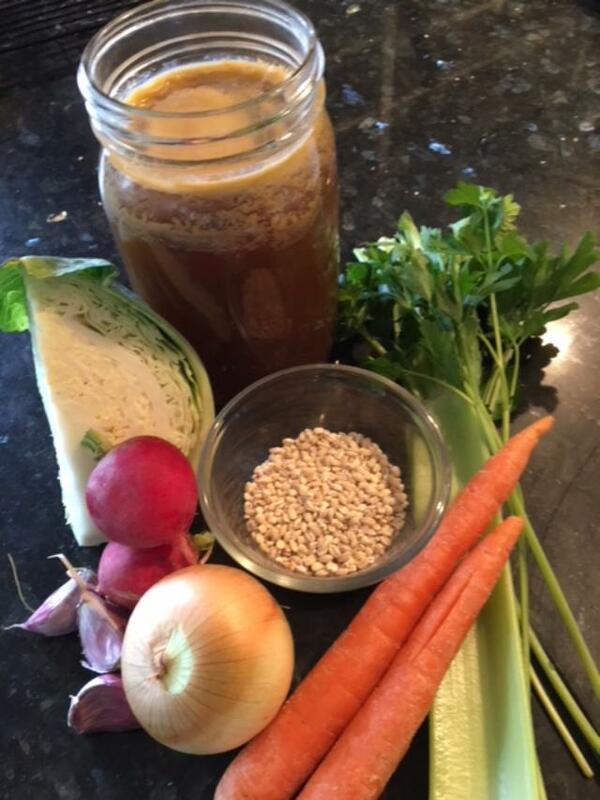 Bone broth offers a major source of immune system support minerals and healing compounds for a healthy gut. We are learning more and more about the importance of gut health and its relationship to both mental and physical well being. Please take notice of any meaty bones you may have left over from steaks, chops, chickens, fish. 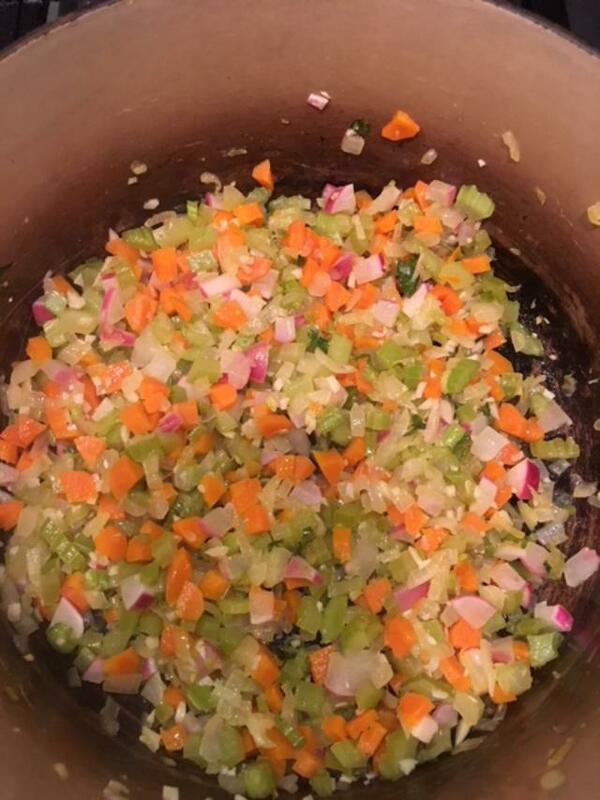 Turn them into broth before they go in the bin and nourish yourself with this low cal, simple goodness. For my family Easter means a leg of lamb and stock from the lamb bone becomes Scotch Broth. The origins of this soup are obvious. Sheep and barley are vital in Scotland and the common vegetables would be easily at hand. It’s still cool enough for hearty soups and this one could be prepared from any broth as well as from the lamb bone. A broth you prepare yourself from the bones and bits of any roast will far exceed the flavor and food value of canned or boxed stocks. 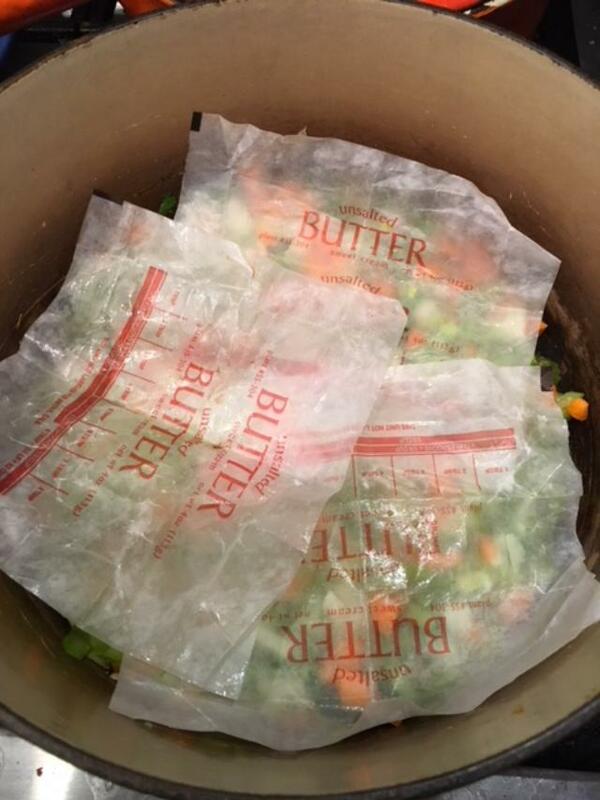 If you haven’t time to use your broth after it has been simmered and strained, it freezes well in plastic cartons or zip lock bags. 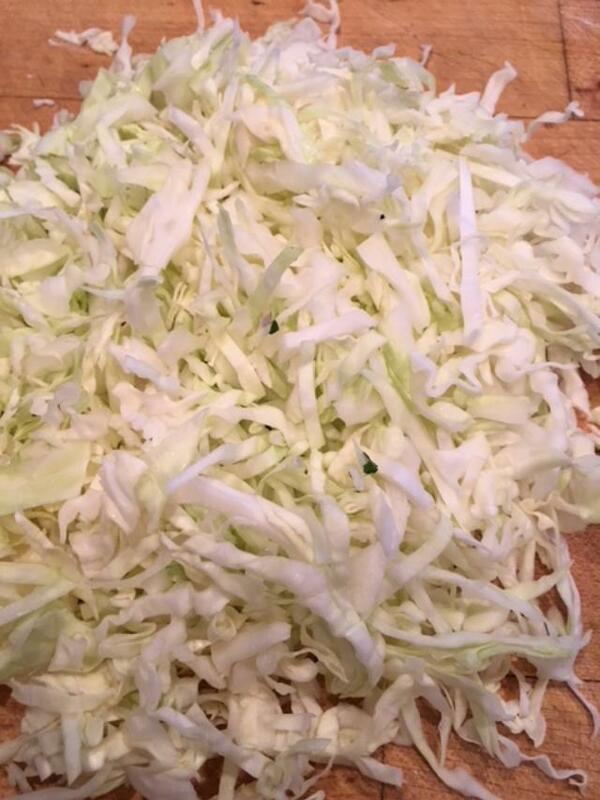 Gather up whatever vegetables you have: onions, carrots, celery, cabbage, garlic, parsley, a turnip or radishes and begin chopping. Do make sure you have on hand either hulled or pearled barley. Barley, an almost forgotten whole grain adds a silky texture to the soup and a welcome bite that almost makes it seem like pasta. 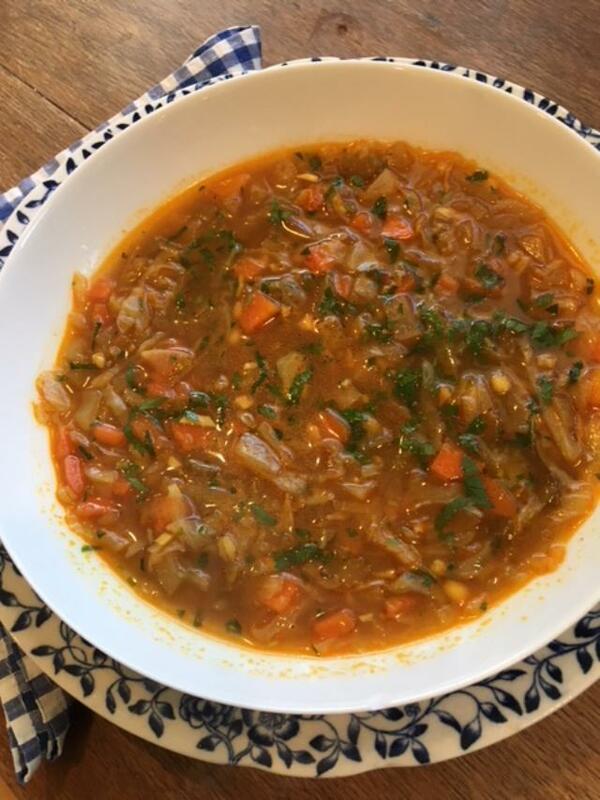 You will notice a few untraditional soup making tips in the recipe: tomato paste added for color, turmeric for color and health, crushed chili for zip, a dash of fish sauce for umami. All of these add depth of flavor to a brothy soup but may be omitted. the bone until it takes on a rich smell; however, this step isn’t mandatory. Cut through the tendon at the knuckle to bend the lamb bone to fit a large saucepan. Add carrot ends and peelings, onion skins, celery leaves, etc plus the browned veg from the roast. Cover with water, bring to a simmer and cook slowly for 3-4 hours. Strain, discard the bone and cooking veg debris. Pour the cool stock into jars. Chill and remove any solid fat that rises to the surface. A leg of lamb bone plus browned bits will give 4-6 cups broth. You are currently browsing the Mary Jo's Kitchen blog archives for April, 2018.